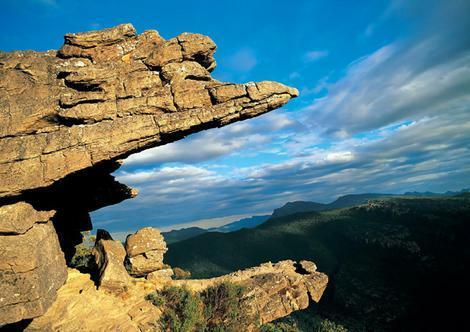 Located in western Victoria, the Grampians are a collection of sandstone mountain ranges and are one of the state's most amazing natural attractions. Extending to the South Australian border, the area is named after the National Park which is the most popular tourist attraction in the region, attracting approximately one million visitors each year. 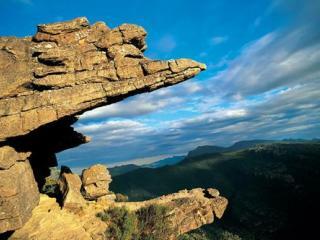 The Grampians are actually a large region encompassing the towns of Halls Gap, Hamilton and Horsham. Home to mountainous forest, lakes, rivers and waterfalls, the Grampians National Park covers over 160,000 hectares along the Great Dividing Range's western end and is a popular spot for bushwalking. Home to a wide range of native wildlife, the park covers the Victoria Range, Serra Range, Mt William Range and Mt Difficult Range. 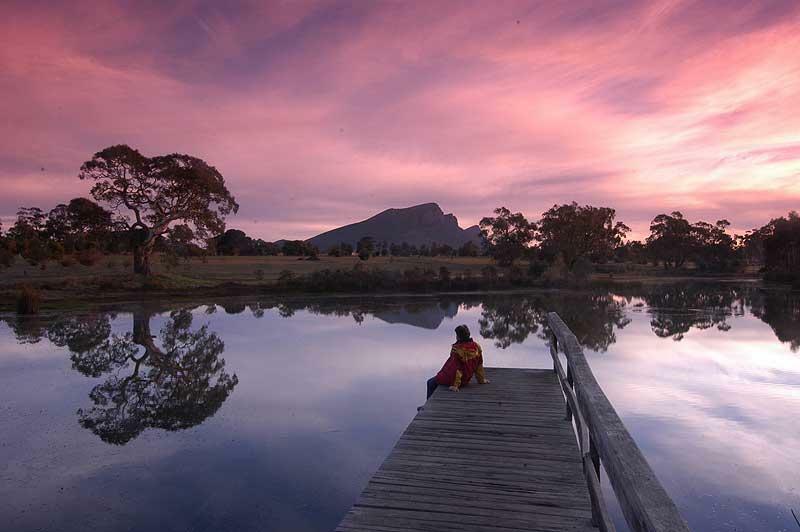 Grampians accommodation offers a wide range of options located throughout the vastly beautiful region that is the Grampians. From Halls Gap to Hamilton and the town of Horsham, Grampians accommodation offers something to suit all tastes and budgets. Boasting spectacular views and rooms located by the mountains, Grampians accommodation ranges from 5 star resorts to classic guesthouses, eco-friendly options, charming B&Bs, self-contained holiday cottages and much more. The ideal place to relax, Grampians accommodation is best enjoyed with friends, family or someone special as you soak up the tranquil bushland and mountain views. Situated in the Grampians National Park, the small town of Halls Gap is home to Lake Bellfield and Stony Creek and is surrounded by the Wonderland Ranges. Grampians holiday packages are the ultimate way to get the best value for money when visiting this vast and diverse region. Designed to save you both time and money, these Grampians holiday packages offer the easiest and most affordable way to plan and book your holiday. Allowing you to combine all your holiday needs into one discounted package, these Grampians holiday packages allow you to bundle all the essentials like accommodation with optional extras like flights or car hire, transfers, tours, meals, travel insurance and more into one heavily discounted package. You’ll also enjoy access to an exclusive range of complimentary inclusions such as free nights, room upgrades, breakfast daily, activities and more. Home to mountainous forest, lakes, rivers and waterfalls, the Grampians National Park covers over 160,000 hectares along the Great Dividing Range's western end. Home to a wide range of native wildlife, the park covers the Victoria Range, Serra Range, Mt William Range and Mt Difficult Range. Walking tracks and lookouts provide breathtaking views and easy access to forests, lakes and waterfalls with the park's main attraction being it's amazing collection of historic Aboriginal sites. 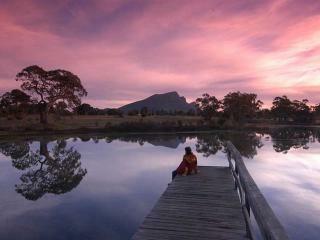 Halls Gap is a small township surrounded by the rugged peaks of the Mount William and Wonderland Ranges. Home to a number of tourist shops and cafes, the town also offers the picturesque Halls Gap Picnic Reserve and grassed areas by Stony Creek. A scenic route northwest of Halls Gap heads towards Horsham and offers a range of interesting attractions including the breathtaking views from Boroka Lookout off Mount Difficult Road. Further along, Reed Lookout provides panoramic views of the Moora Moora Reservoir, Lake Wartook and dense bushland while a short detour along Wartook Road brings you to MacKenzie Falls, the Grampians' largest waterfall. Getting to the Grampians is an easy and enjoyably scenic drive that, by the time you arrive, feels like a world away from Melbourne but in reality is just 3 hours northwest of the city. Driving to the Grampians is a fantastic way to take in the wonderful scenery through the Goldfields and out to the National Park. The Western Freeway is the most direct route with the Glenelg Highway offering another good alternative. The Great Southern Touring Route also passes through the Grampians, making it a popular way to explore the region and surrounding tourist attractions. However if you won’t have access to a car, public transport is available. A V/Line rail service runs daily from Southern Cross Station in Melbourne direct to Ararat with coach services connecting to the Grampians.